Ever dream of opening your very own authentic pit barbecue restaurant? Gather up your best barbecue recipes, and follow these step-by-step instructions to make your dream a reality. Purchase or lease land with a building that can serve as a restaurant. You can also lease or purchase land and build your restaurant from scratch. The building will need a kitchen where you can cook non-barbecue items and keep the meat warm after it comes out of the pit. You will also need restrooms and a dining area if the restaurant will offer on-site dining. Build the pit. Decide the size of the pit based on how much meat you plan to prepare at a time. You may choose to build more than one pit. The pit should be a minimum of three feet long and three feet wide. To cook larger quantities of meat, or an entire hog, you'll need a much larger pit. Dig the hole. Consider lining the pit with brick or cinder blocks in order to maintain cleanliness. Prepare the pit for cooking. You'll need a cover for the pit that's made of wood or metal. It should be larger than the pit hole and equipped with handles so it can be moved during cooking. Consider covering the entire pit area with a roof or enclosure so you can cook in any weather. Fill the pit with wood chips. Wood chips are your fuel for cooking barbecue. You'll need a pile of chips on hand at all times. Cedar is recommended. The chips should come to within a foot of the pit's surface, unless you are cooking a whole pig and need more space in the pit. Fit the pit with a meat rack. Buy or make a metal rack to hold the meat cooking over the pit. The rack should sit above the wood chips, and should be removable so you can load chips and clean the pit. Cook the barbecue. Once the fire is going, place the meat on the rack and close the cover to begin the process. Follow your recipe for cooking times and other particulars. Open for business. Once the pit is built and working properly, and the menu is worked out, it's time to open for business. 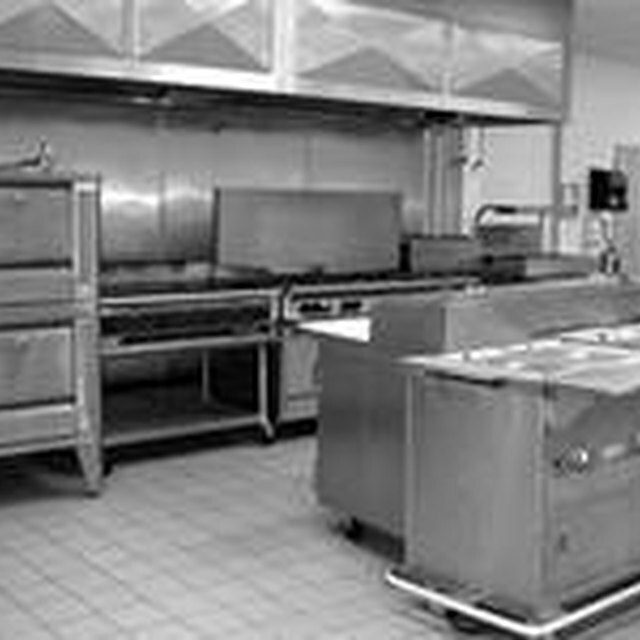 Be sure that your restaurant meets all local building and health codes. Control the fire at all times and pay attention to burn warnings.